Likable crossplatform (written on JAVA) program for work with bases in format PGN. 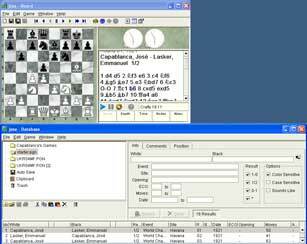 * plug-in chess engine for play and analysis; supports both XBoard and UCI protocol. * Create HTML and PDF files.